The Coalition government is intent on wrecking working class lives. There has been a raft of assaults: the welfare state is being demolished and privatised, our jobs are being lost and our pensions are under attack. And yet since 2008 the richest 1% accrued a further £155 billion to add to their riches. Never before have we seen such strident attacks on working class living standards. And as trade unionists we have an obligation to find ways to organise our collective strength and provide solidarity to workers under attack. In particular we need to begin a process that involves us discussing how we get back to the higher level of mass strikes and demonstrations that we have witnessed in recent times. The 30th November 2012 public sector mass strikes were a high point but the potential for such resistance is still in evidence, given the very recent 25,000 march in Lewisham, London against local NHS cuts and in support of the NHS. There have been a number of national Unite the Resistance conferences. 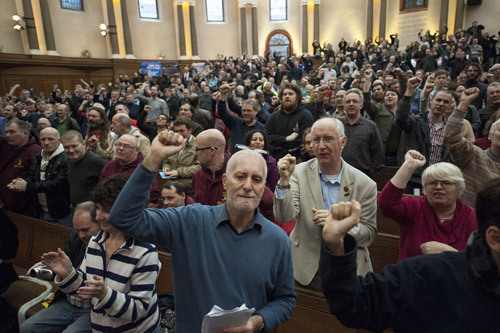 The last, in November 2012, brought together about 1,000 trade unionists from around the country and from abroad with a common aim – to fight austerity politics. The conference resolved to continue this work with regional conferences around the country. Therefore we in the East Midlands are intending to have an East Midlands Regional Unite the Resistance Conference in the spring this year (there is to be a West Midlands Conference and other regional conferences this spring as well). 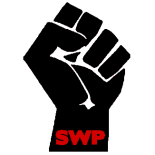 Local SWP activists are throwing their weight behind this conference and will be central to its organisation over the coming months. This entry was posted on Feb 5, 2013 by leicestersocialistworkersparty in Socialism, Uncategorized and tagged communism, left-wing, leicester, politics, socialism, socialist, socialists.